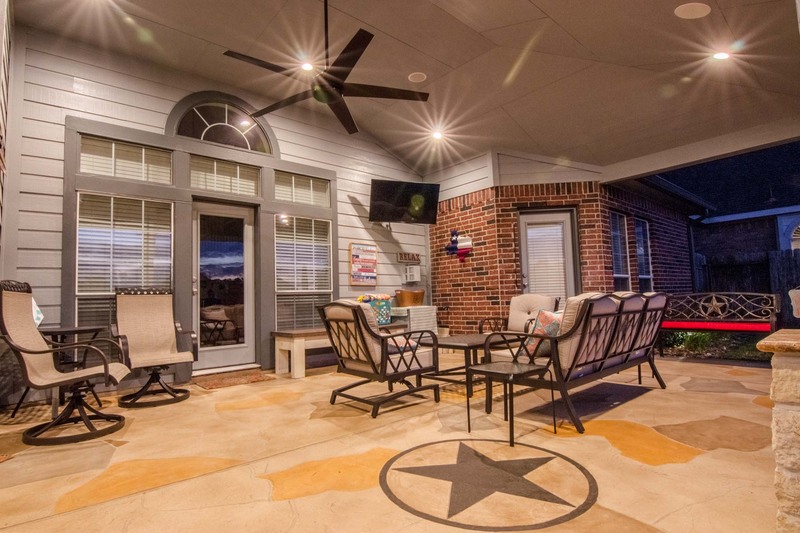 Choosing a floor style for your patio cover is not something to be overlooked. 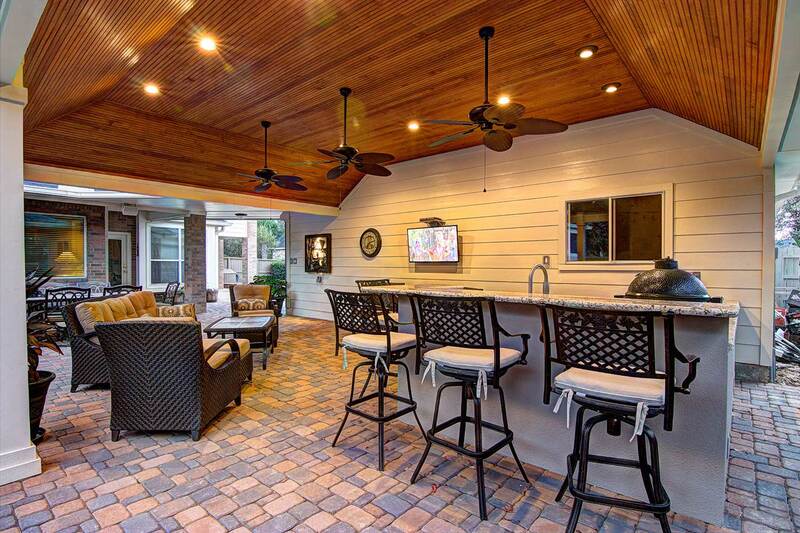 In fact, a big part of the look and feel of you new patio will depend on the type of floor you choose. Luckily for you, we have many years of experience working with several types of floors such as concrete, stamped overlay, natural stone, and pavers. 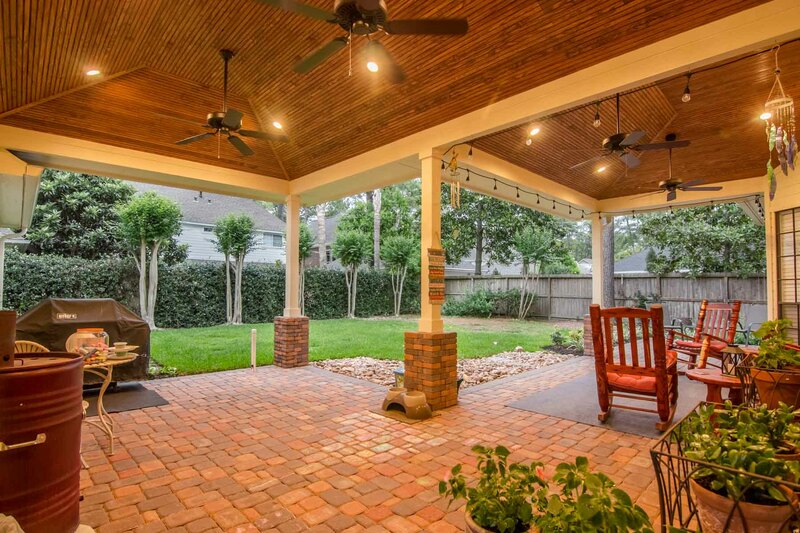 Check out some of the options available for your new patio cover. Stamped concrete overlays allow you to imitate the beauty and texture of natural stone, brick, slate, and wood and can have a stunning impact on the look and feel of your patio. Travertine pavers are made of natural materials and are becoming one of the most asked about flooring options among our customers. 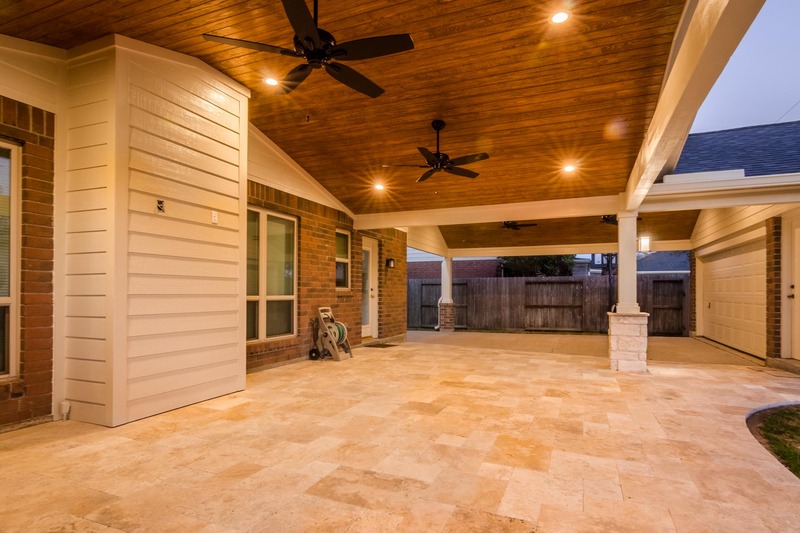 Using travertine pavers will not only enhance the look of your patio cover but will also be pleasant and comfortable to walk on at all times throughout the year.